We know that Bloom’s cat in the Calypso episode of Ulysses has a “lithe black form”, but its mousing abilities and propensity to stalk “over my writing table” put us in mind of a cat called Pangur Bán or “White Pangur”. This is the title of a poem found in a ninth century manuscript, the author an anonymous Irish monk. He compares the labours of the cat in catching mice with his own task of finding words to express his thoughts. 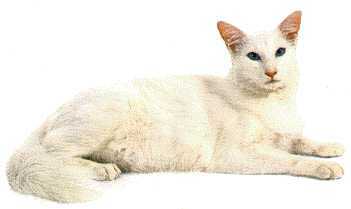 A white cat features in the animated film “The Secret of Kells”.